The holidays are a great time to try out a new festive drink. Nothing says “convivial Christmas brunch” like offering guests a cocktail or two to go with their relaxed holiday meal. The good news is, most of our favorite holiday drinks can be made non-alcoholic so little ones don’t have to miss out on the festive fun. We recommend mixing up a big batch of Rudolph’s tipsy spritzer and letting guests serve themselves for easy Christmas morning cocktails. Holiday drinks, of course, should always include a warm option, and we love this sweet praline coffee to warm hands on a cold Christmas morning. We think that the ultimate Christmas morning cocktail is this spiked hot chocolate, which can, of course, be modified so small tipplers can partake in the festivities. Christmas morning cocktails can bring normal holiday festivities to next-level merry-making. These may be made up to a day ahead. Keep tightly covered with plastic wrap, and garnish just before serving. 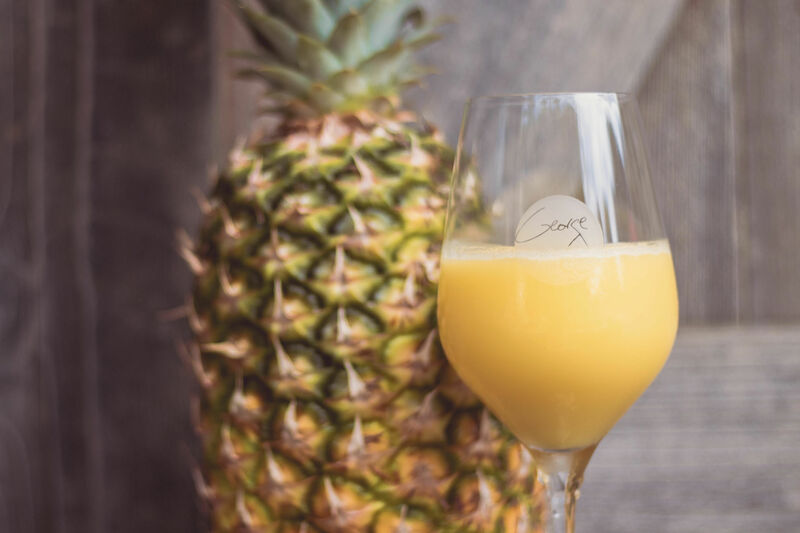 This refreshing drink goes perfectly with your favorite brunch spread. Basil pairs well with fruits, making it a natural complement to the peach purée in this celebratory brunch beverage. Serve hot chocolate with sugar cubes, chocolate chunks, candy-coated chocolate pieces, and biscotti. A tangy, aromatic blend of fruit and spices lends warmth to this citrus coffee. For an extra-special treat, top with Coffee Liqueur Crème and serve with Biscuit Beignets. Indulge in this luxurious treat after your meal, with a dollop of Marshmallow Whipped Cream for an extra bit of sweetness. Give just the right amount of kick to your holiday brunch with these perfectly seasoned cocktails.